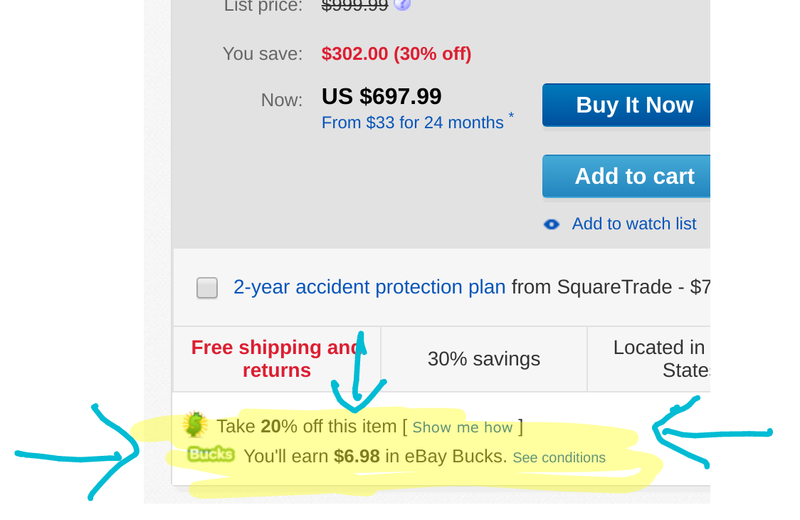 eBay is back with another coupon promotion. Coupon code PREP4SUMMER gets you 20% off orders of $25+ with a maximum discount of $50 until 4/30/18 at 11:59pm pacific. In other words, until the end of the calendar month (April 2018). Over 120 sellers are participating in this promotion including Anker, BuyDIG, Daily Steals, eBags, Northwest Outdoor, Overstock, VM Innovations, Tech Rabbit, etc. The left hand side of the page over there has a variety of categories and sub-categories you can use to drill further down to items to potential interest. Separately and independently, these items earn eBay Bucks (if you have a free-to-create eBay Bucks Rewards account).